We are among the most trusted names when it comes to Facility Management Services. Five Force is comprised Team of dedicated and customer-friendly people, who have been in the industry for more than a decade. Our company has been recognized as a reliable service provider to Hospitals, Corporates, Schools, Malls and various other commercial establishments. We are always committed to provide the right kind of service to each and every customer. We really care about your needs and we always try to provide the best service to you. We are rated amongst the best providers of House Keeping Services and we have been able to carve a niche in this services category. The range of housekeeping services offered by us include Office, Assistant or Front office, Caretaker Services, Maintenance Services, Chauffeur Services, Pantry Management Services etc to name only a few. Our gamut of services have been widely appreciated and we have been regarded as one of the most dependable and reliable organizations by our esteemed clients. Our rates are cost effective and our offers include various trial offers so as to suit the clients requirements. We ensure confidentiality, respect, dignity and professional ethics all throughout our association with the company and even afterward. The facade of your building is exposed to the ravages of environment and weather, such as rain, dust, pollution etc. 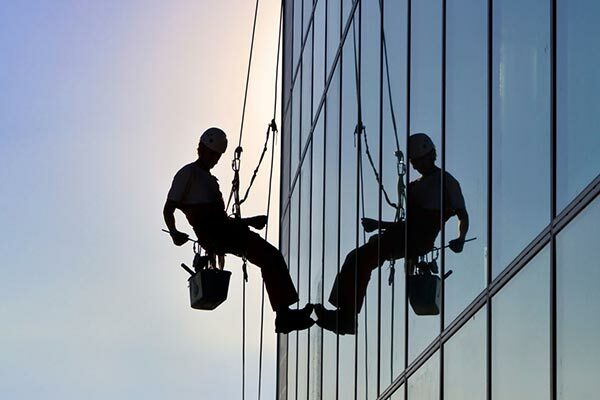 In order to maintain clean exterior, we recommend using our façade and window cleaning service. Regular cleaning and maintenance is important so as to increase the longevity of building material and maintain property value. A sparkling clean facade also leaves a positive impression on visitors. We offer window and facade cleaning service for every type of business including showrooms, offices, factories, schools and commercial complexes. Whatever the height of the building, GroupL provides an efficient, safe and high quality window cleaning service, even where access is a problem.